There are many reasons for people being over weight, this could be anything from lack of exercise, eating while feeling stress, comfort eating because you are lonely and eating when you are bored or feeling unhappy but in general the most common reason why people are overweight is due to consuming more calories each day than the body needs which forces the body to expand. Whatever the reason for you being overweight it is a fact that if you eat fewer calories then you will lose weight and we will work with you to change any bad habits you have with food and give you a fresh outlook and help you become slimmer, happier and healthier. By using our hypnotism for weight loss technique called Trance Band® you will have your life changed and all your weight loss worries will be over. We are so confident that our hypnotism for weight loss technique will work for you; we offer you and all of our weight loss clients who use our Trance Band® technique powerful results. Have you tried lots of different weight loss diets? Are you in the situation like thousands of other people with weight loss dreams that these so called fantastic weight loss diets have not worked for you? Have you been on a weight loss diet and then as soon as you have stopped your diet you have put the weight back on? Did you try lots of different weight loss tips to only find that they did not work? Thousands of people have tried lots of different weight loss diets but not had any or much success but do not worry if you are one of those thousands of people who have got up set that you have spent a great deal of money on weight loss diets that have failed you. There is a new revolutionary weight loss system in town called Trance Band® which was devised by the UK Leading Gastric Band Hypnotherapy expert Claire Hegarty as seen on television which gives you powerful results to help you lose weight with the hypnotism to lose weight technique. Our Gastric Band technique called Trance Band® is a powerful weight loss system that allows you to lose weight while eating what you want and when you want. Unlike other gastric band techniques that are out there which do not offer you powerful results in helping you to lose weight, Trance Band® which was developed by the well known and UK Leading Gastric Band Hypnotherapy expert Claire Hegarty is a safe and powerful hypnotherapy technique that helps you achieve the goals that you want to achieve. Imagine if your weight loss problems could vanish and imagine if you could lose weight without having weight loss surgery which is also known as gastric band surgery or gastric bypass and have all the benefits of a real gastric band without the need for surgery or the expensive cost that a gastric band operation brings. Well now you can with the Trance Band® weight loss technique that brings you all the positives of a real gastric band but without the complications that a weight loss operation can bring or the average £10,000 price tag that comes with the Gastric Band operation if you cannot get a NHS Gastric Band. By using our Gastric Band weight loss technique you can start to lose weight and keep it off without worrying about craving for food or the lack of will power and starving all day that you may do with some diets. With Trance Band® we will retrain your mind to allow you to lose weight easily, safely with long lasting results by convincing your mind that you have a real gastric band inside you which will help you to remove all your bad habits that you have with food and eat smaller portions to help you reduce your weight. Well-known weight loss hypnotherapist Claire Hegarty has changed the way people lose weight with her powerful weight loss technique called Trance Band®. The celebrity hypnotherapist as seen on television and who also has her own health radio show has been featured a lot in the media. 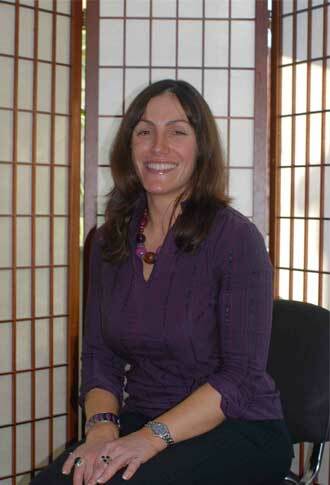 Claire has developed a unique powerful weight loss system called Trance Band®, which helps men and women to lose weight using a number of powerful techniques including gastric band hypnosis, virtual gastric band hypnosis and NLP. We have all heard about Gastric Band surgery that has helped celebrities including Fern Britton and Vanessa Feltz to lose weight, which has helped them to lose weight by reducing the intake of food for their stomach. However health experts have said that the weight loss surgery should be the last resort due to the complications that has been involved with the weight loss surgery, however unlike gastric band surgery which is not 100% safe, our Trance Band® which offers all the positive benefits of a real gastric band is 100% safe. How Does A Real Gastric Band Work? Gastric Band Surgery, which is also known as Gastric Band, Gastric Banding, Gastric Bypass and Gastric Banding Surgery, has helped a lot of people to lose weight through surgery. The Gastric Banding operation is where you go into hospital to have surgery to have a gastric band fitted inside of your stomach. 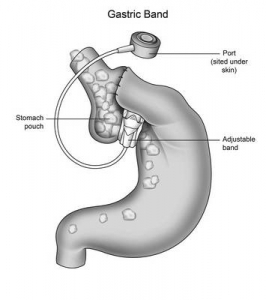 The gastric band is an inflatable silicone device that is placed inside of your stomach to help you to lose weight by reducing the amount of food that you are able to consume. The gastric banding surgery allows a weight loss surgeon to place the gastric band around the top part of your stomach, which will then create a small pouch to reduce your food intake. A normal stomach can consume around six cups of food while a gastric band through gastric banding will reduce this to around half a cup of food, which helps you to lose weight. By having gastric banding it will allow you to become full more quickly and will stop you from overeating and hence it will allow you to lose weight. But unfortunately the gastric banding operation is not 100% safe and has caused a number of complications for weight loss patients, which has resulted in patients losing their life or having to have further surgery to alter the gastric band or to take the gastric band out. If you have failed to get the go ahead for a NHS gastric band then you may turn to a private hospital but be warned the gastric band cost is not cheap. When the NHS have turned people down for a NHS Gastric Band people have turned to private hospital to enquire the cost of a private gastric band surgery but due to the gastric banding cost through a private hospital costing on average around £10,000 this has put a lot of people off and rightly so. Trance Band® works in the same way but without the complications and without the surgery. By using our Trance Band® weight loss Technique, you are able to lose weight in a safe and controlled manner with long lasting results. Claire Hegarty who is a leader in the field of helping people to lose weight-using hypnotherapy developed Trance Band® to offer people who are worried about their weight a powerful weight loss tool. By using Trance Band® it will allow you to lose weight with all the benefits of a real gastric banding but without the cost and the complications.